I’ve looked at several backup battery packs in the past and like I’ve always said, these are an absolute must have item for those who are constantly on their smartphones, tablets, or other electronics that need constant charging. 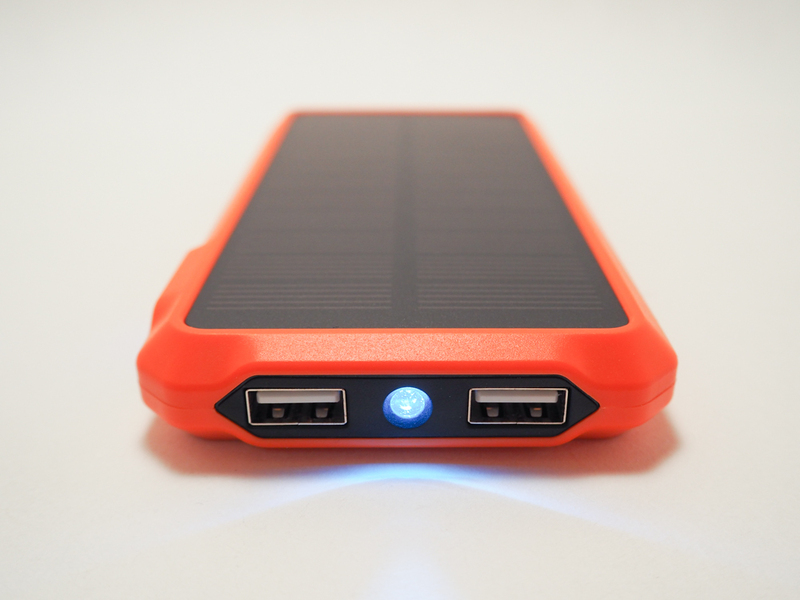 Backup battery packs are a necessity if you don’t want the hassle of looking for a wall outlet when you need charging, especially when there aren’t any around like if you’re out hiking or at the beach. That’s why for me, it’s the #1 accessory you need on the go. 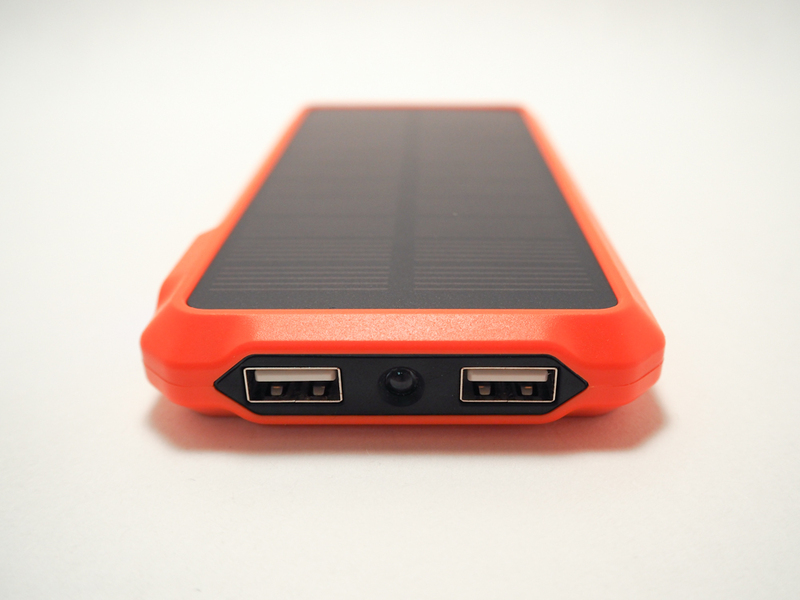 Now while I’ve looked at some pretty good ones in the past, I’ve never had one that had a built in solar charger on it and that’s exactly what the ToughTested Solar Dual USB 10,000mAh Battery Pack has. 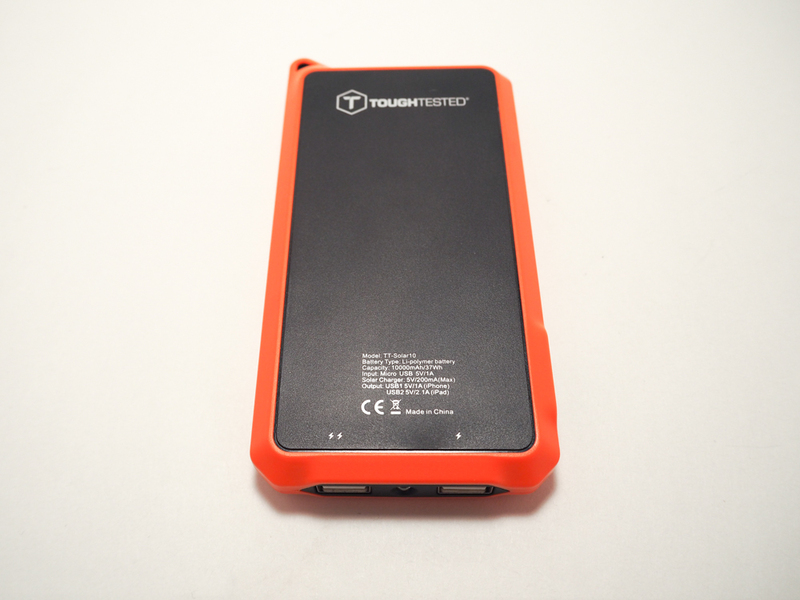 The ToughTested battery pack is a heavy duty unit that is meant to withstand an active lifestyle. This is by far the “toughest” looking battery pack I’ve ever tried out as well the heaviest and most solid of the bunch. It’s got a tough outer shell that looks like it could take a beating and unlike other battery packs, you can hang this on the outside of a bag and not worry about it getting banged up. The battery in this ToughTested until is rated at 10,000mAh which means you can charge most smartphones several times over with plenty of power left. It’s also got dual USB ports for charging two devices at once which is very convenient since many of us carry more than one device these days. If you do happen to run out of juice in the pack while you’re out, you won’t have to look for an outlet if you’re in a jam. 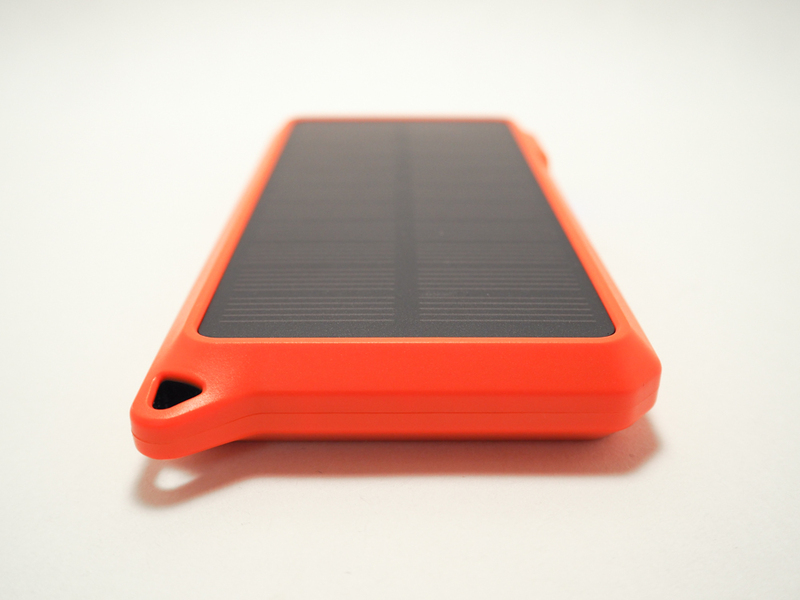 Instead, use the built in solar charger rated at 200mAh for some emergency power which can recharge the pack as well as your device. This is mainly for emergency situations however. Speaking of emergencies, the ToughTested pack also had an emergency light on it for some reason that you can use as a lower powered flashlight. 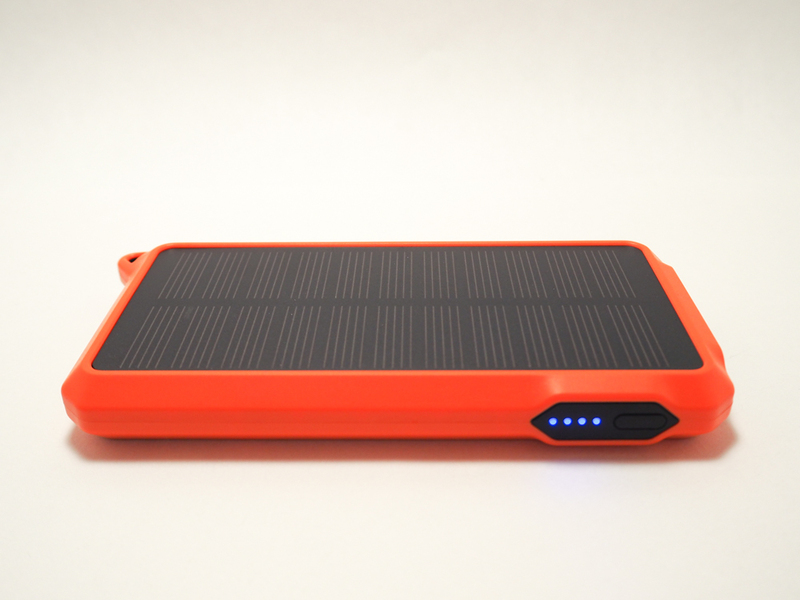 While the ToughTested Solar Dual USB 10,000mAh Battery Pack is the largest and heaviest battery pack I’ve used, It is also one of the most versatile. 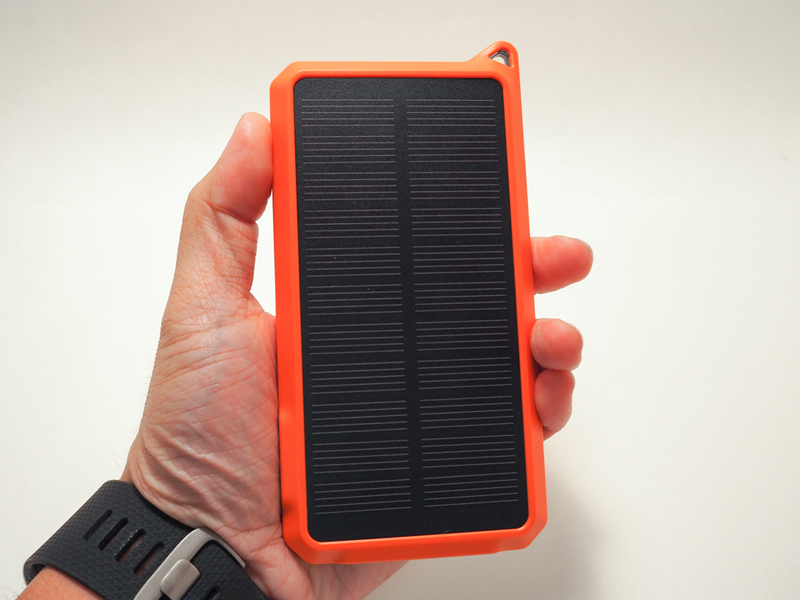 Whether your out hiking, camping, at the beach, or just walking around town, the huge 10,000mAh battery will pretty much charge anything you throw at it and the rugged construction means it’ll survive and active lifestyle. 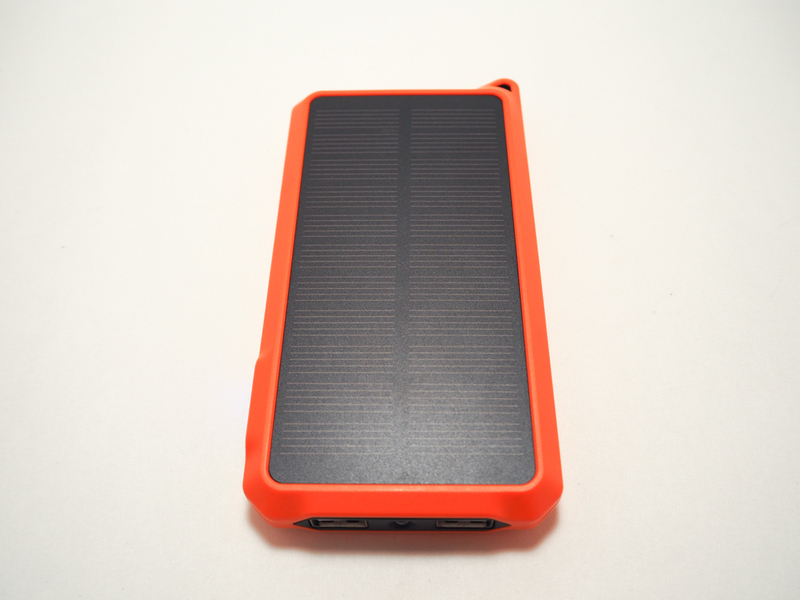 While this might also hold true for other battery packs, the fact that you can use the included solar panel to charge in a pinch is super useful in case of emergencies making it a must have item you don’t want to leave home without. 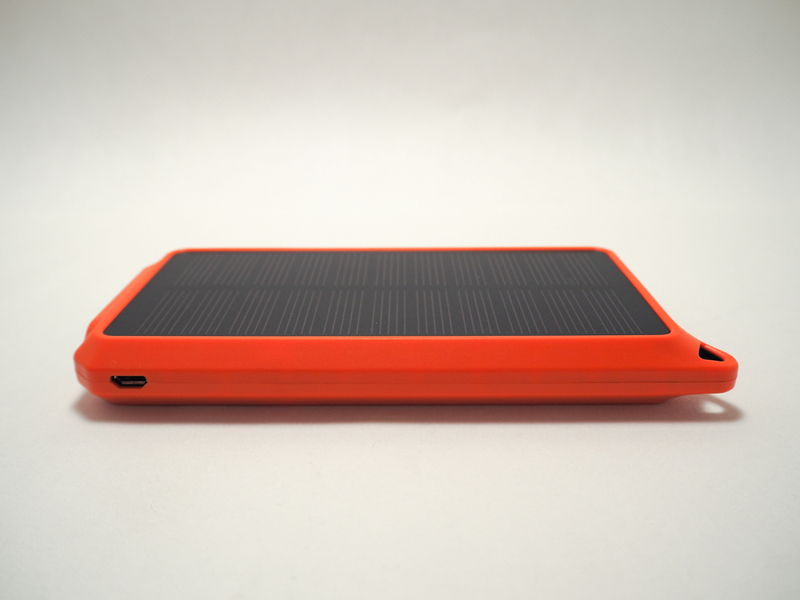 With that said, the ToughTested Solar Battery Pack is one of my favorites now and has taken a spot in my bag of gear I carry daily.